My cousin and I have been spending all our weekends shopping for her trousseau. While the perfect lehenga still evades us, the saris and salwar kameez are perfect. I have been trying to convince her to do an outfit post, but she has been evading. I promise to keep trying though. We still need to pick up some semi-precious cocktail jewellery. 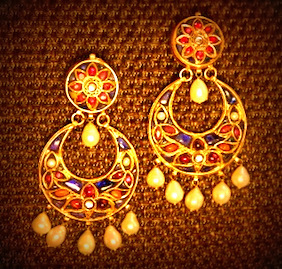 If you have read the first post in our trousseau series, you would have seen the two earrings we picked; but still need to buy some neck pieces for the bride and jewellery for the maid of honour. I am not really a diamond or gold person, so I want contemporary jewellery with a hint of tradition to shine as the bride’s sister. 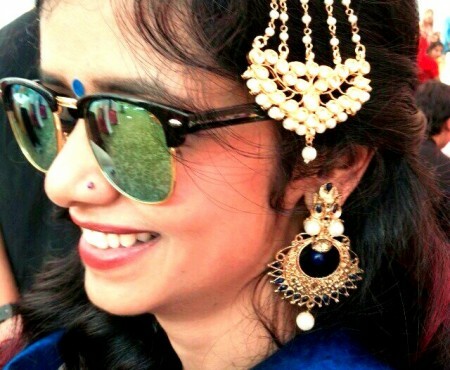 An old friend Kanika has recently turned into a jewellery designer and has launched her own label Kohar. Kanika and I go way back. To start with, we were roommates in college and from chasing the IIM dream and corporate jobs to quitting our respective careers to follow our hearts; we have come a full circle. 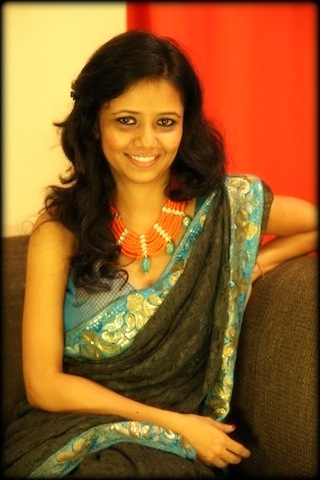 Finally last week, I checked out her jewellery, and irrespective of our friendship I have to say I loved what I saw. Did outfit post with the two pieces I absolutely want to own. One thing which I absolutely love in her design is the eclectic burst of colours. For e.g. this orange with turquoise neck piece. This one is definitely on my lust list. I totally imagine wearing it with grey, navy blue, turquoise and ivory in addition to the black. The other thing I like about the jewellery is the contemporary design with ethnic craft woven in, like this other piece, in which unlike the usual kundun design is faceted quartz stones with turquoise stones framed in kundan work. 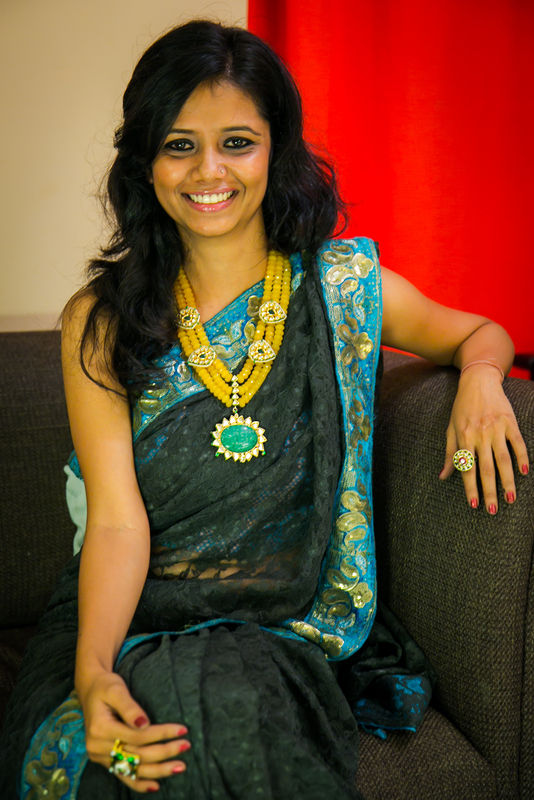 As a mutual fit to our trousseau series and her jewellery, Moda Ninja and Kohar is collaborate to do a giveaway next week for our readers, so stay tuned to our facebook page/ twitter. (This is not a paid review, we checked the stuff out because she is a friend, the review is unbiased). 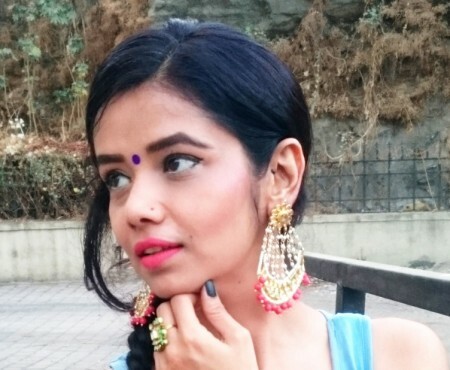 from where i can get those traditional jewelleries?